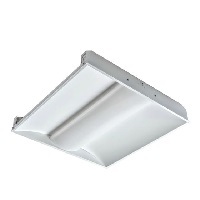 The FTFB Series Volumetric LED Troffer delivers industry-leading performance with deep energy savings and continuous dimming. Its simple construction makes it easy to handle and install. Recommended settings for this product would be for retail, schools, offices, and other commercial applications. There is a 7 year warranty and is DLC premium approved.